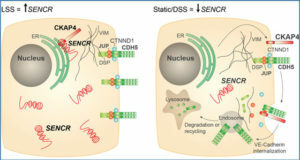 Long non-coding RNAs (lncRNAs) are emerging as important regulators of cell physiology, but it is yet unknown to what extent lncRNAs have evolved to be targeted by microRNAs. 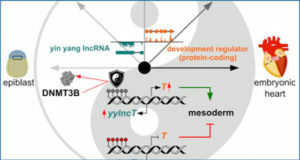 Comparative genomics has previously revealed widespread evolutionarily conserved microRNA targeting of protein-coding mRNAs, and here we applied a similar approach to lncRNAs. 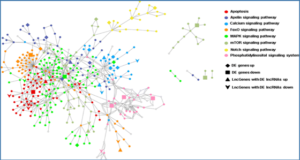 Researchers at the University of Gothenburg, Sweden used a map of putative microRNA target sites in lncRNAs where site conservation was evaluated based on 46 vertebrate species. They compared observed target site frequencies to those obtained with a random model, at variable prediction stringencies. 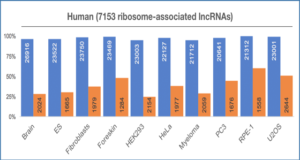 While conserved sites were not present above random expectation in intergenic lncRNAs overall, they observed a marginal over-representation of highly conserved 8-mer sites in a small subset of cytoplasmic lncRNAs (12 sites in 8 lncRNAs at 56% false discovery rate, P = 0.10). Evolutionary conservation in lncRNAs is generally low but patch-wise high, and these patches could, in principle, harbor conserved target sites. 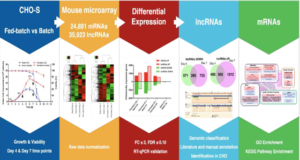 However, while our analysis efficiently detected conserved targeting of mRNAs, it provided only limited and marginally significant support for conserved microRNA-lncRNA interactions. 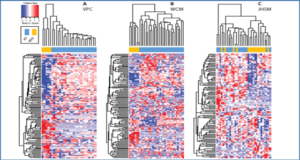 The researchers conclude that conserved microRNA-lncRNA interactions could not be reliably detected with their methodology.